THE ONLINE COMPANION TO THE THEOLOGY ANSWERS PODCAST. Episode 11 | What is Total Depravity and Does it Imply Total Inability? What is total depravity and does it render humanity totally unable? Total Depravity comes with all sorts of inferences by many in the world of “Christendom”. Sadly, few have ever considered the contextual arguments for the implication of Total Inability. James & Edward discuss why understanding that humanity is not just depraved but unable to refuse sin and further, are unable to effect any spiritual good without a divine work of God. Ask your questions, we’re glad to help. For the most part of the 20th century, altar calls and other prominent “offers” of salvation have been utilized to draw millions to a so-called gospel only to see that a majority of those millions still have no assurance of eternal life. This podcast discusses this issue and what the church should understand in history and in practice of these techniques. When it comes to these practices, Edward and James both have extensive experience with ministries who employed them. Edward was once with the Power Team, an evangelistic, altar-call ministry. Most of all, the scripture teaches us what we should know about the traditions of men concerning the call to faith. James Tippins & Edward Dalcour discuss this important truth. Go to TheologyAnswers.com and ask your questions for answer on the podcast, in person, on the phone, or via email. For the most part, apologetics has become something different for many people and it is often confused with “coercion” or “convincing” someone to believe when Scripture teaches something very different. So, what is apologetics and why is it important to the church today? James Tippins & Edward Dalcour discuss this important truth. 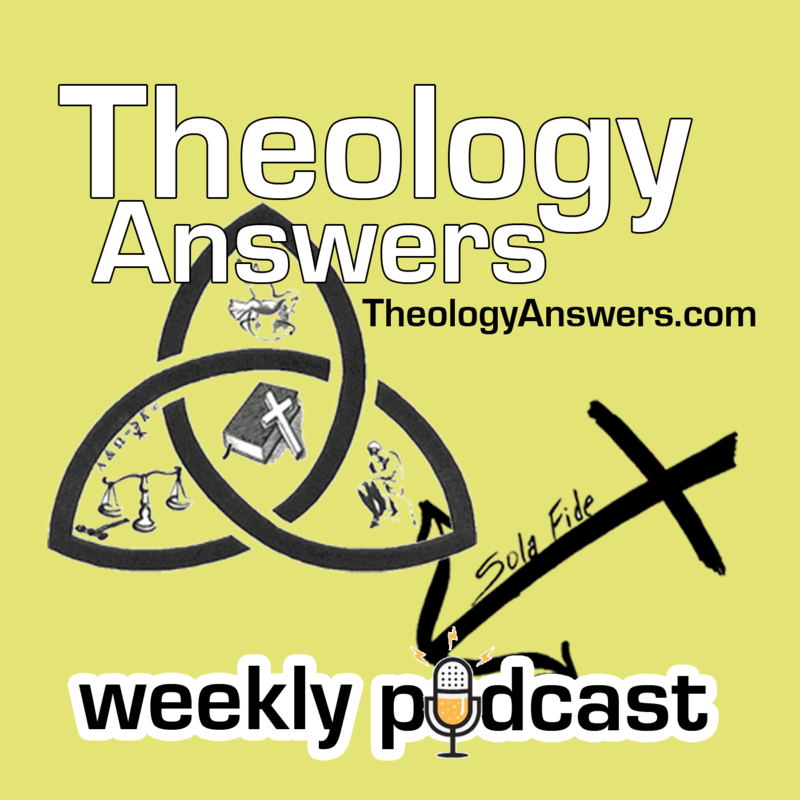 TheologyAnswers podcast this week deals with the authority and sufficiency of Scripture. We must understand that the test for all doctrine and theology is the Scripture but MANY consider it a good book but not authoritative. Go to TheologyAnswers.com to ask your questions for the podcast. Edward Dalcour is president of Christian Defense Ministries, he blogs here, and his facebook is here. James H. Tippins is Pastor of GraceTruth Church, he blogs here, and his facebook is here. The Protestant Reformation just celebrated 500 years last October. James & Edward, in a trial run for this podcast, discussed the trends related to the reformation and the idea that many churches that celebrated the 500th anniversary are at odds with the doctrines of the reformation. We want to know your thoughts. Why do you feel so many people join the bandwagon of historical ‘fandom’ but refuse the truths recovered during the movement? Is the protestant reformation still valid? Let’s talk and see. Go to TheologyAnswers.com to interact and ask your questions for future shows. The King James Bible is one of the most important published works in the history of the world. For centuries it was the only access to the Scriptures for English speaking peoples. Just as contextual criticism and manifold sources were used in its production and translation, the same type of processes and ‘sciences’ are used today. Many purport that the KJV is not just a blessing to the English language but it is also a divinely inspired and “authorized” text. In reality, the “authorization” of the printing is Parliament and there is nothing divine about the text. In this podcast, Edward and James consider the preferential King James reader and the “darker side” of King James Onlyism. JOIN THE CONVERSATION at TheologyAnswers.com where you can ASK YOUR QUESTION to be answered on the Podcast. What type of knowledge is required in order for someone to have eternal life? Sufficient vs. exhaustive, what is the difference? Believing in Jesus Christ is not about what one “knows” but rather trusting in the truth of Christ as revealed in Scripture. Let us never forget that salvation comes through the regenerative work of God through His grace. He gives understanding and grows His people. Coming Soon | Theology Answers Podcast!